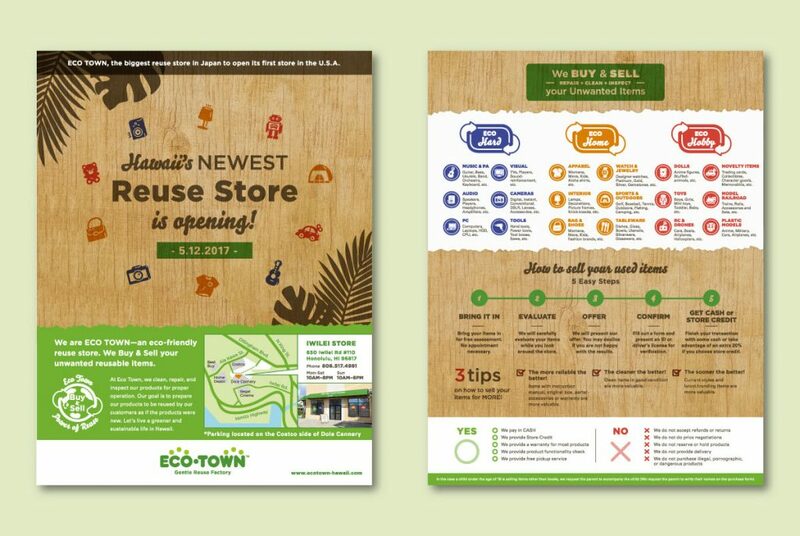 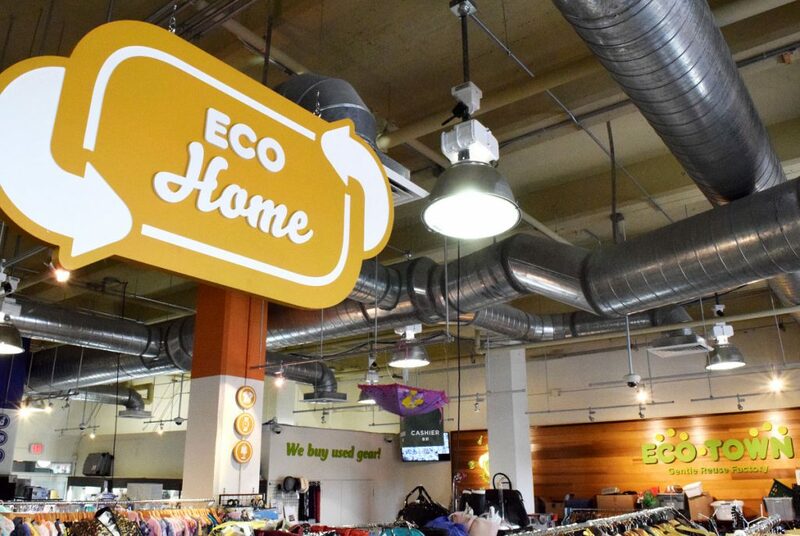 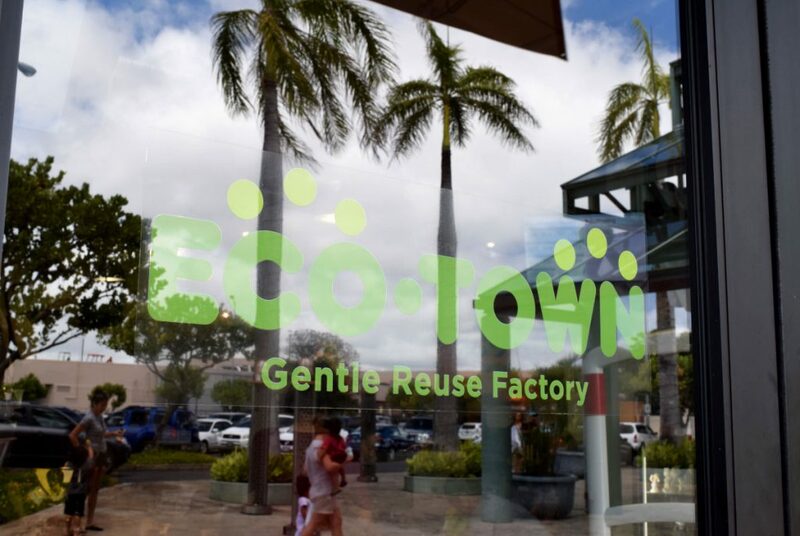 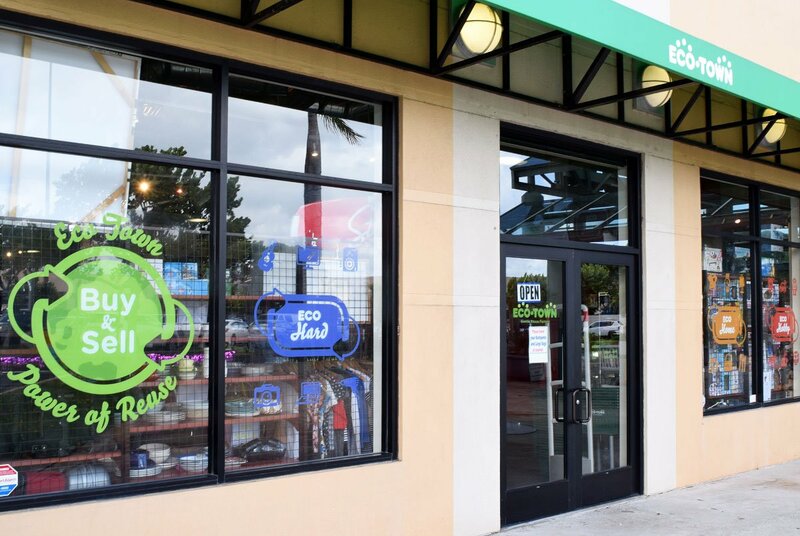 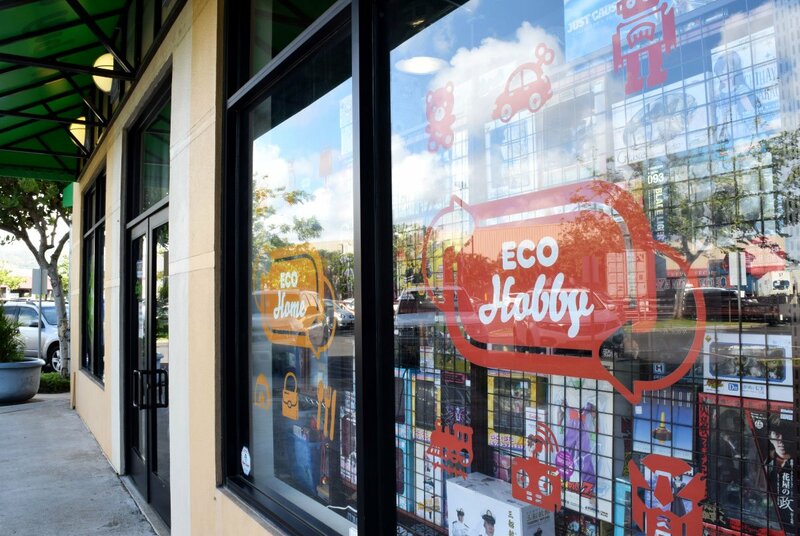 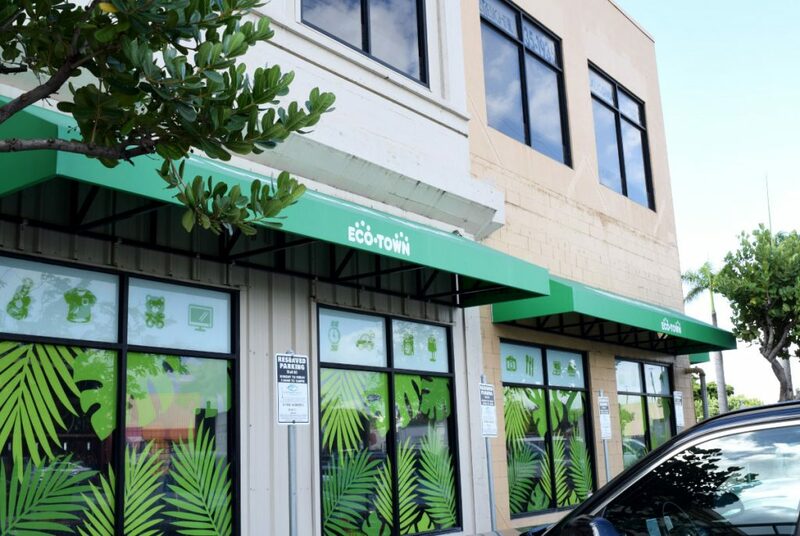 Client: Eco Town Hawaii Inc.
“Hard Off,” a thrift store company that first deployed in Japan, decided to open its first U.S. store in Hawaii. 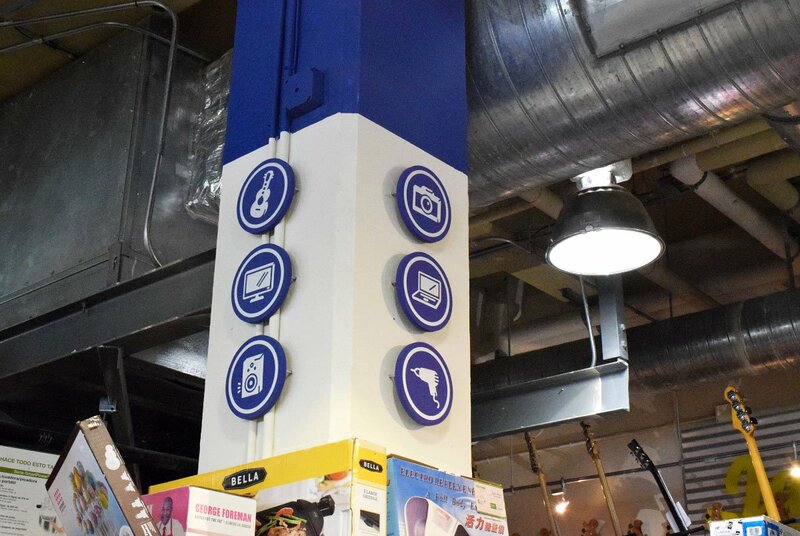 In Japan, the company uses different store names according to the type of product that is handled, but in the United States, they purchase everything from PCs, audio equipment, clothing, furniture, and hobby goods. 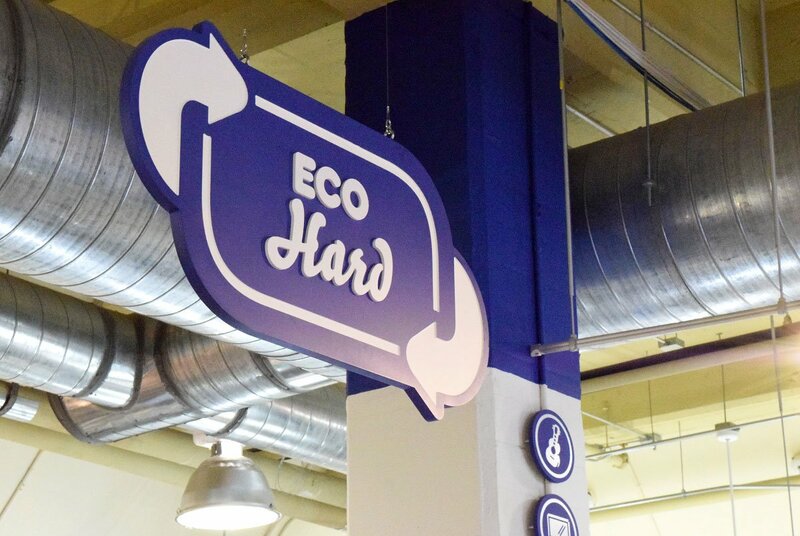 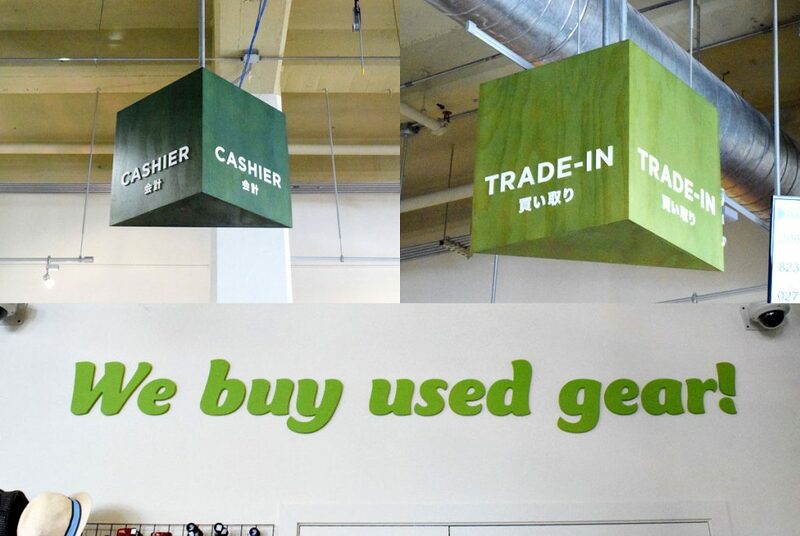 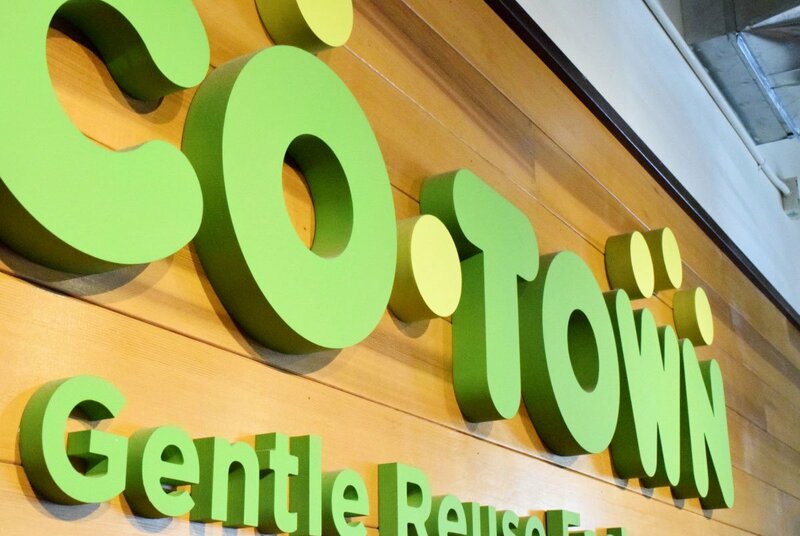 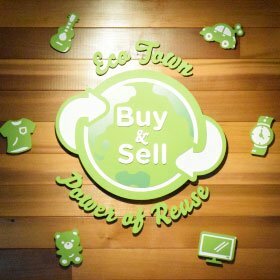 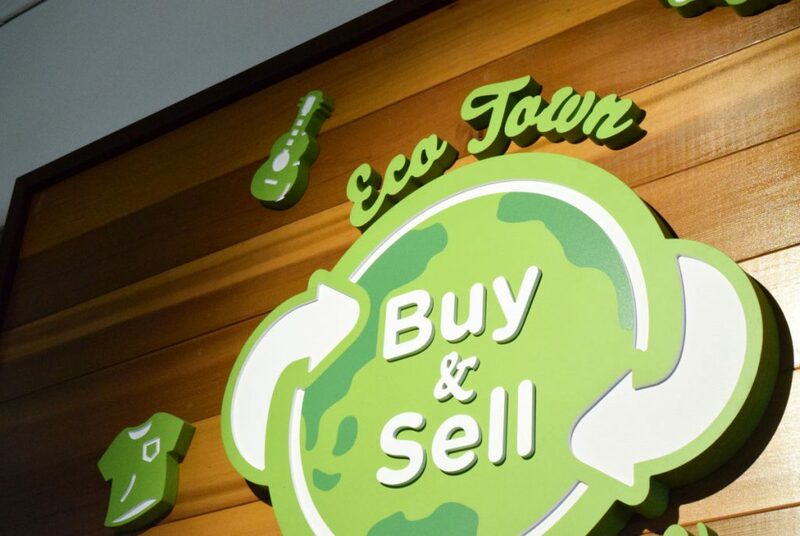 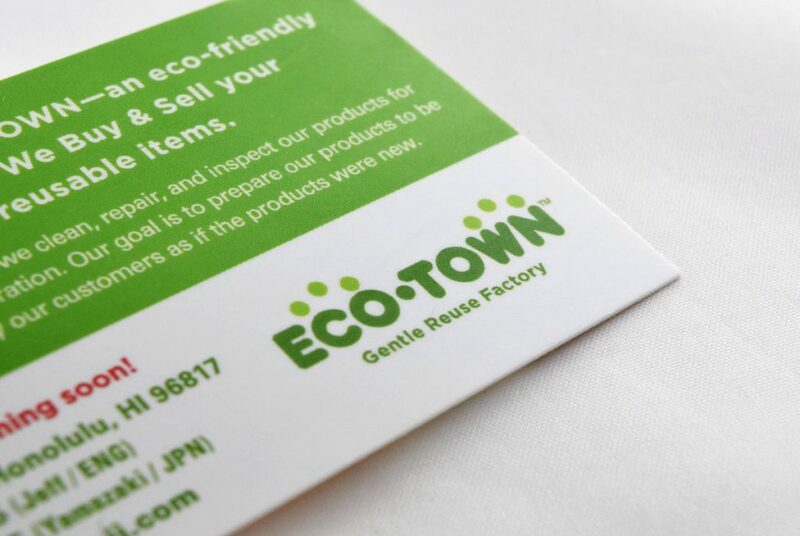 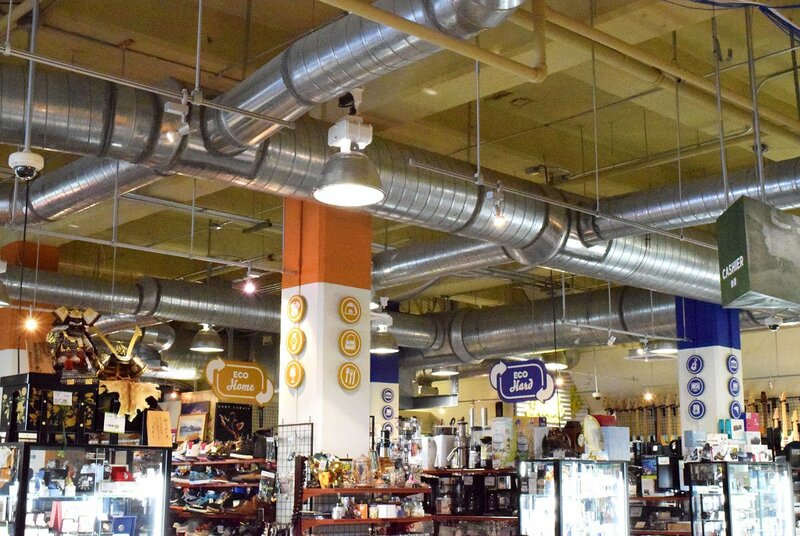 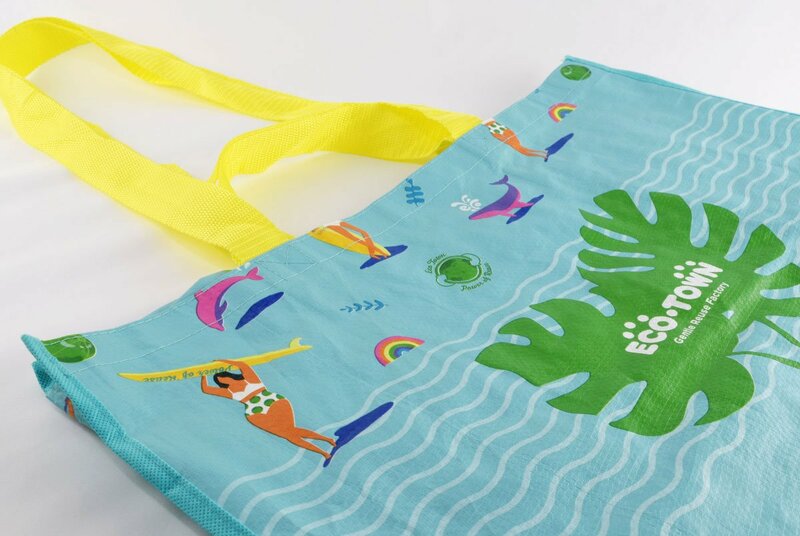 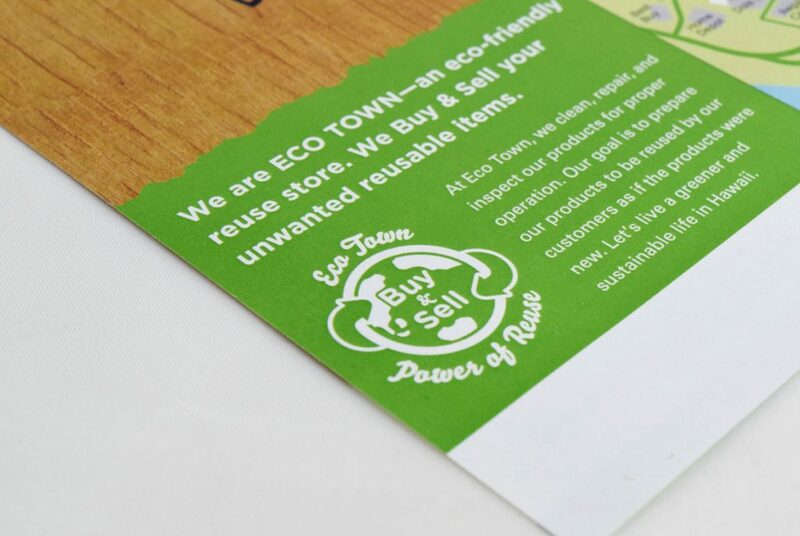 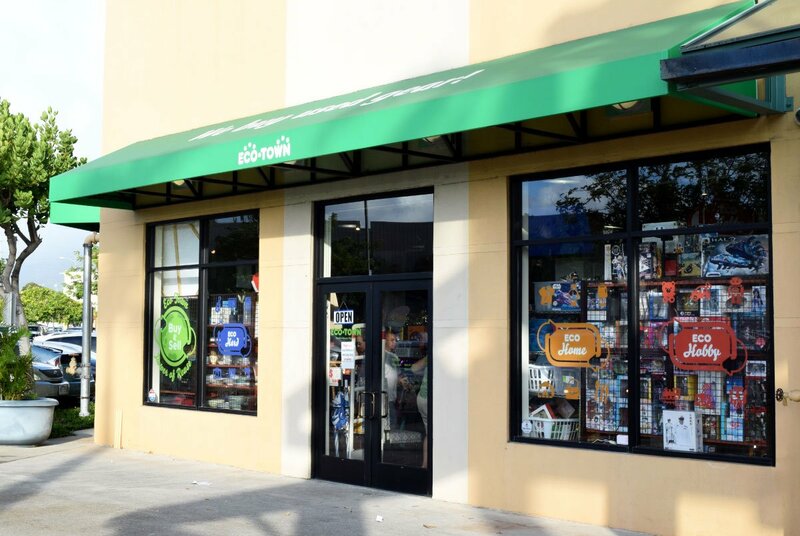 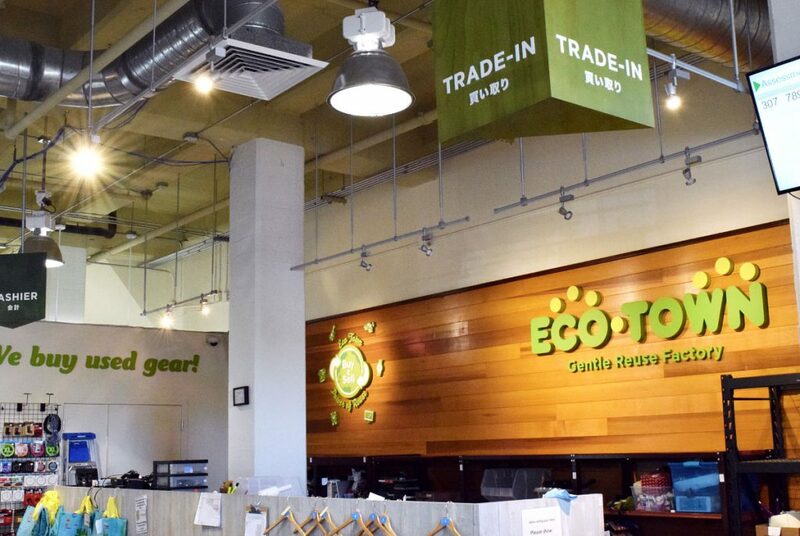 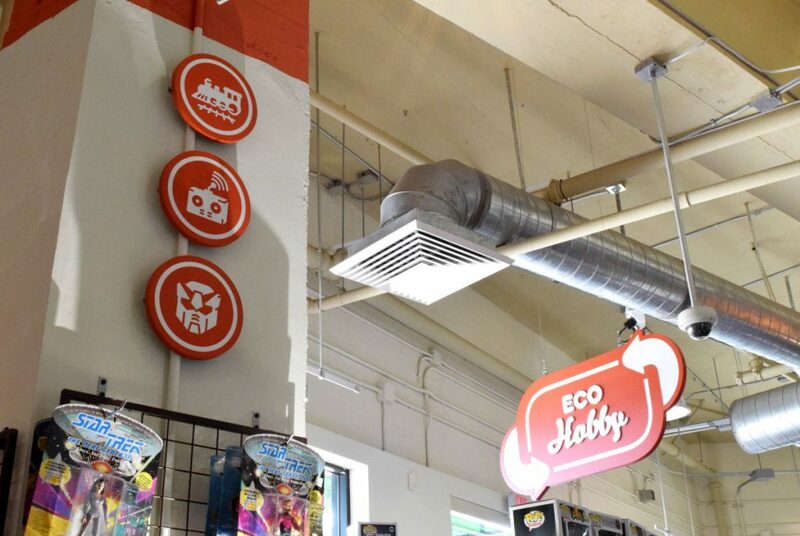 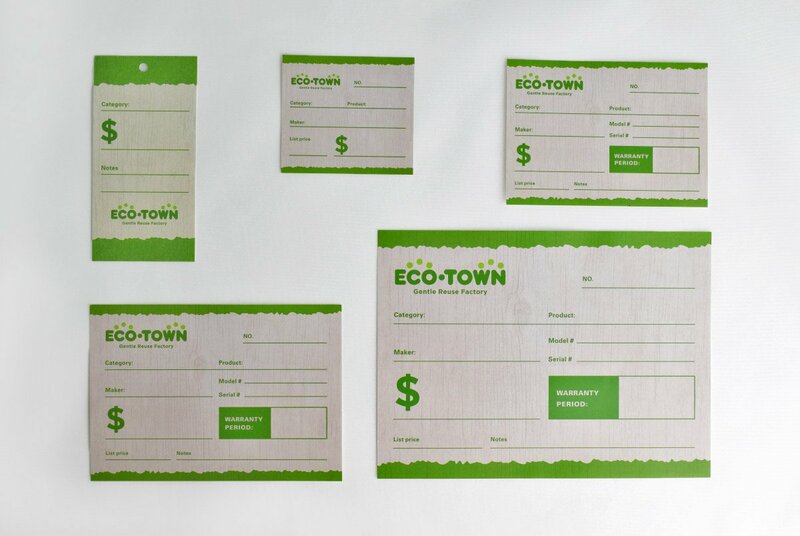 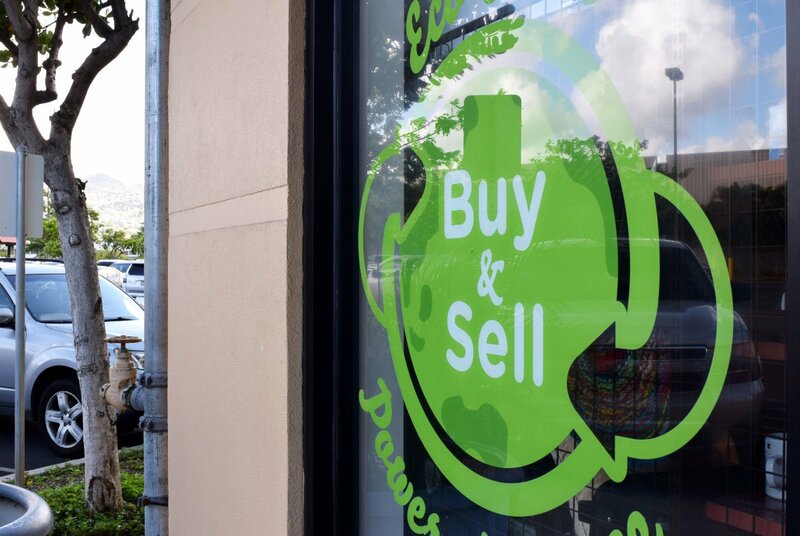 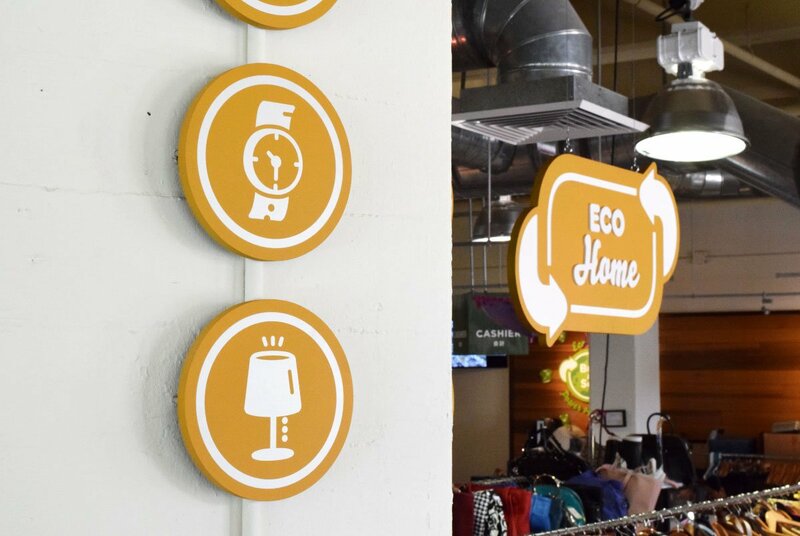 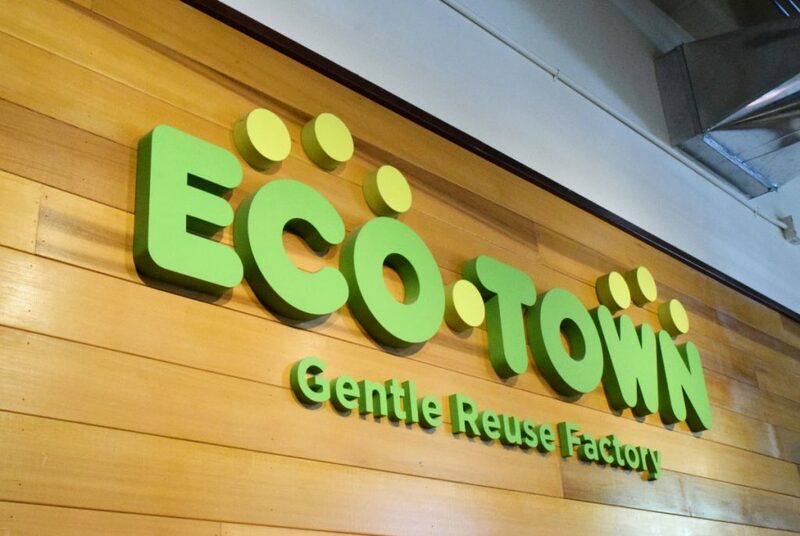 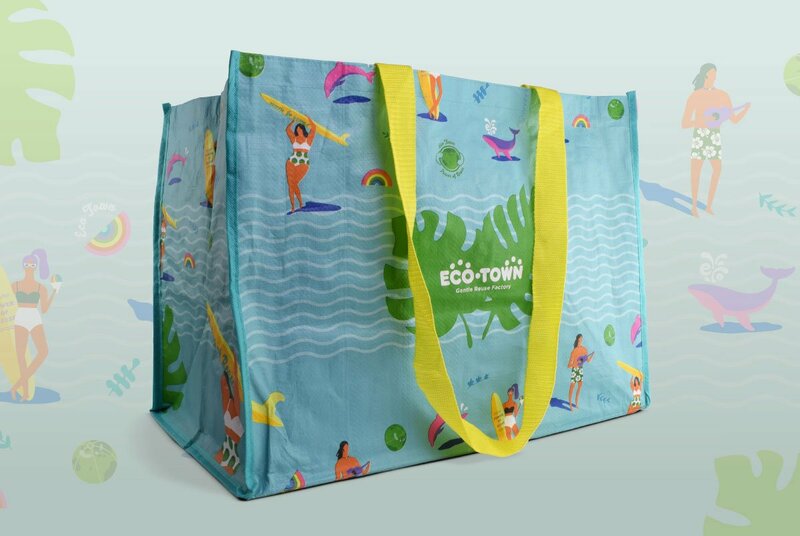 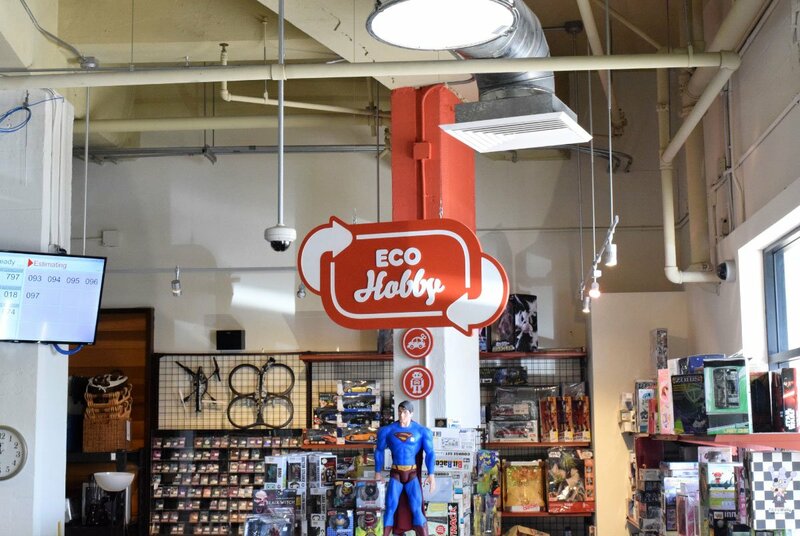 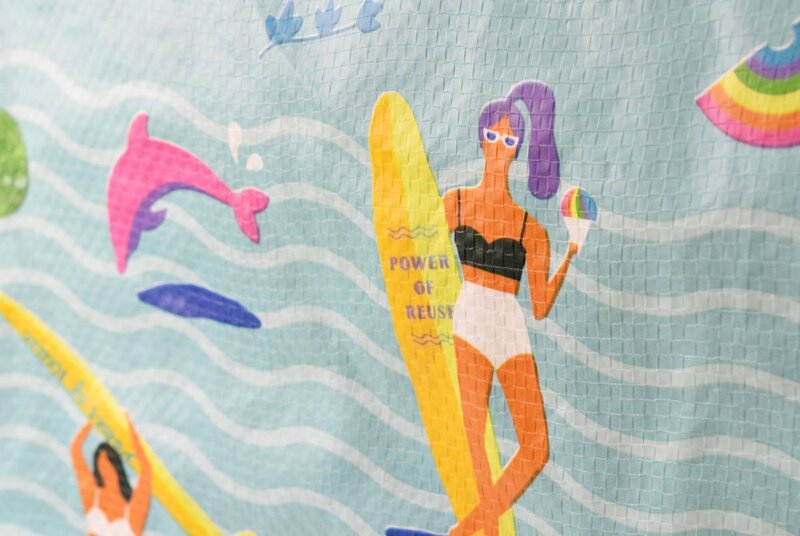 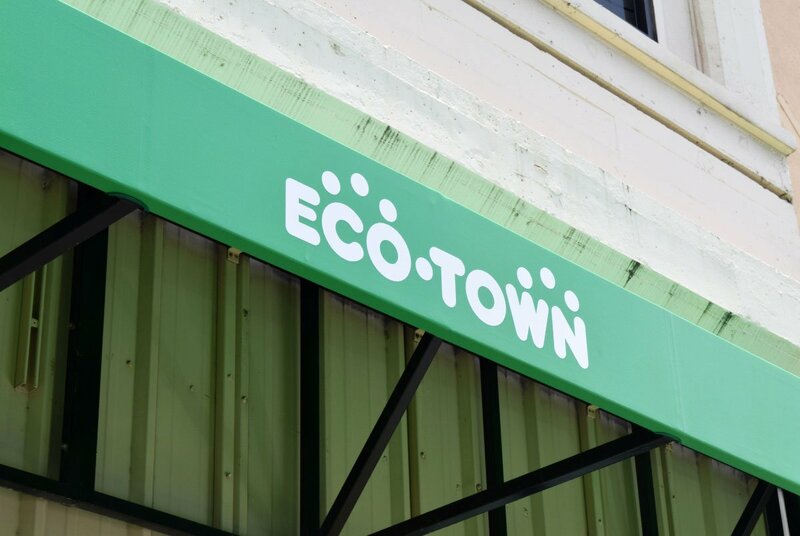 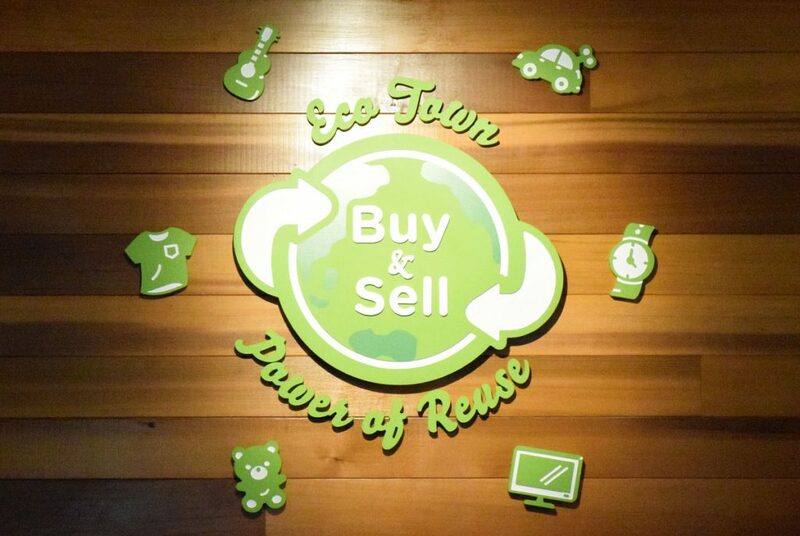 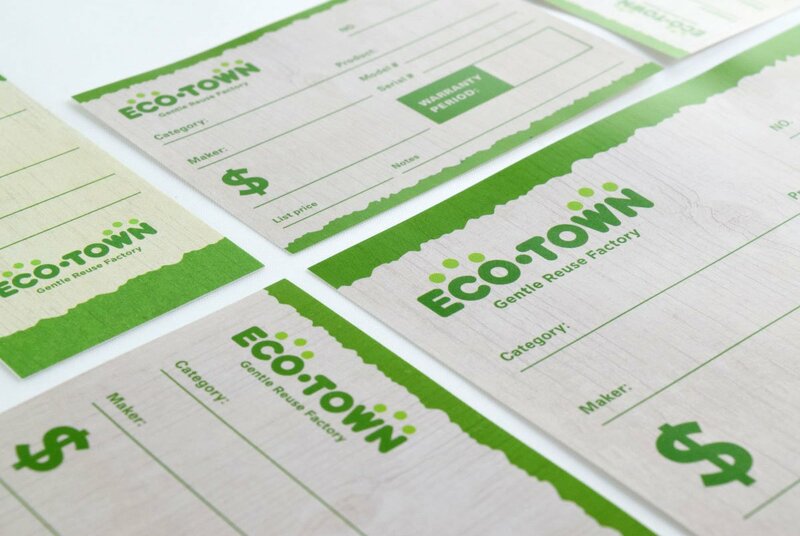 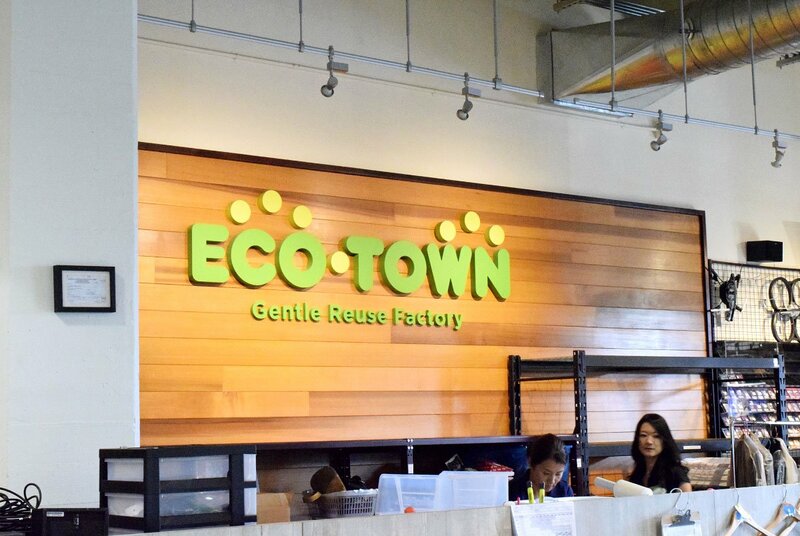 Therefore, they needed to rebrand themselves as “Eco Town,” a store that buys and sells reusable items. 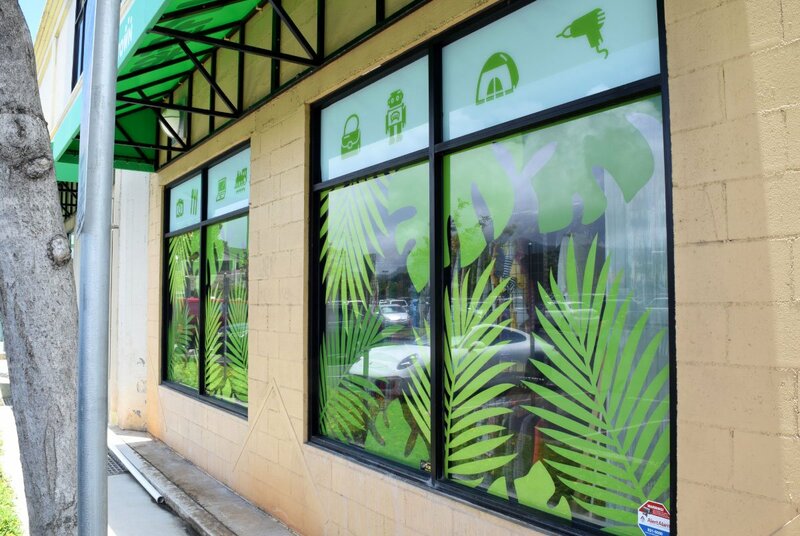 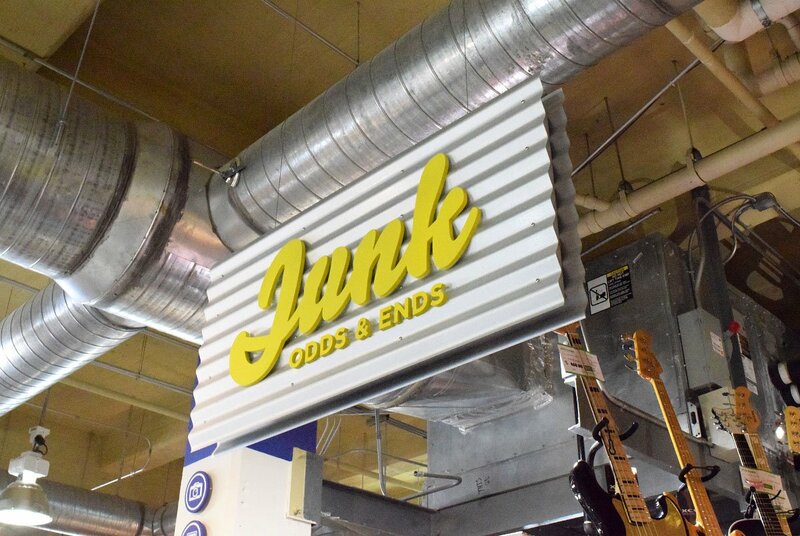 Our challenge was to produce designs that would allow the company to develop additional stores nationwide. We made visuals that expressed their corporate philosophy and business characteristics, and gave an impression of 'eco natural.' 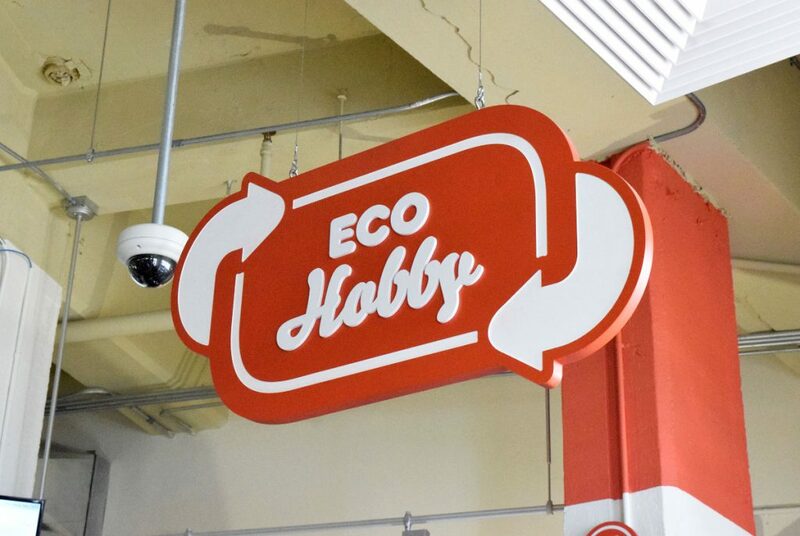 At the same time, we created a visual brand that allows the company to further develop additional stores. 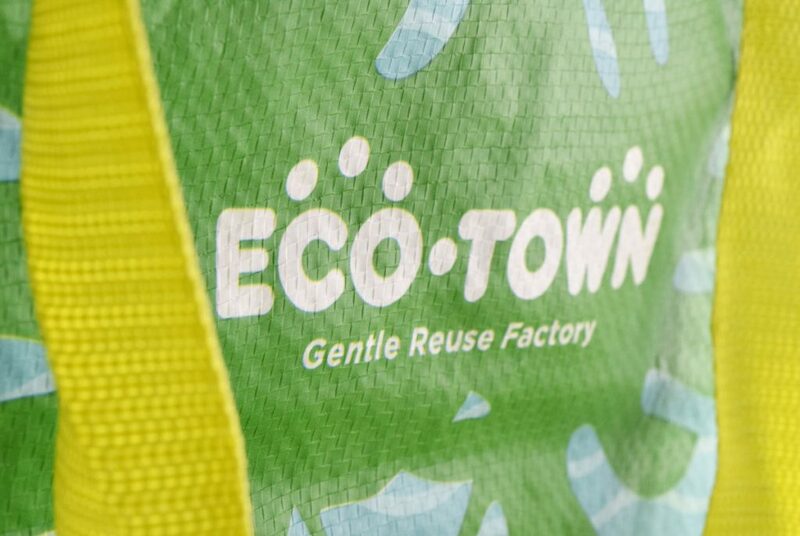 We used a logo that visually matches the company’s Japanese logo and combined it with the tagline that conveys the company’s service content; the color green expresses “eco-friendly.” The visual branding combines the earth, the recycle mark, and the slogan, and represents the company philosophy of “contributing to a recycling-based society that is in harmony with the environment.” Overall, we thought about giving an impression of a cool and trendy garage with eco-green and wood as accents; by using wood and signage on the signature walls, we were able to give the impression of “eco-natural.” The store full of merchandise feels like a treasure hunt, but at the same time, the signs that divide the store into three categories (ECO Hard, ECO Home, ECO Hobby) guide the customer in a straightforward manner and give the place a professional feeling. 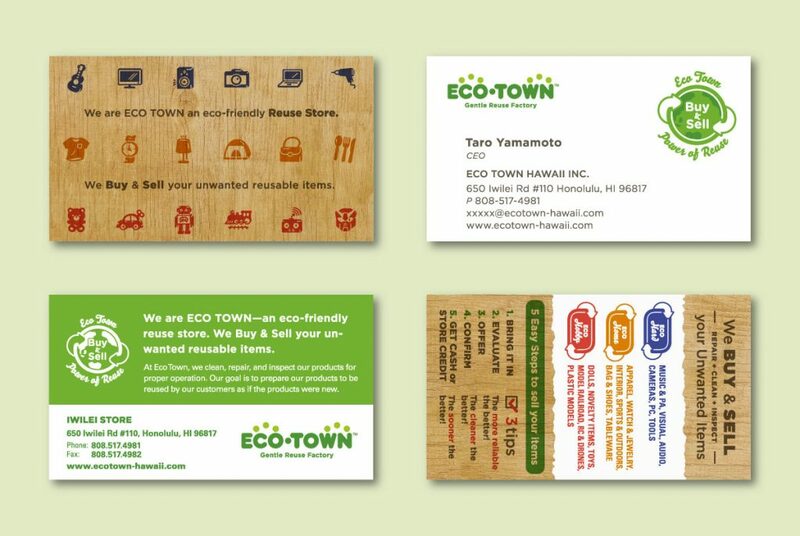 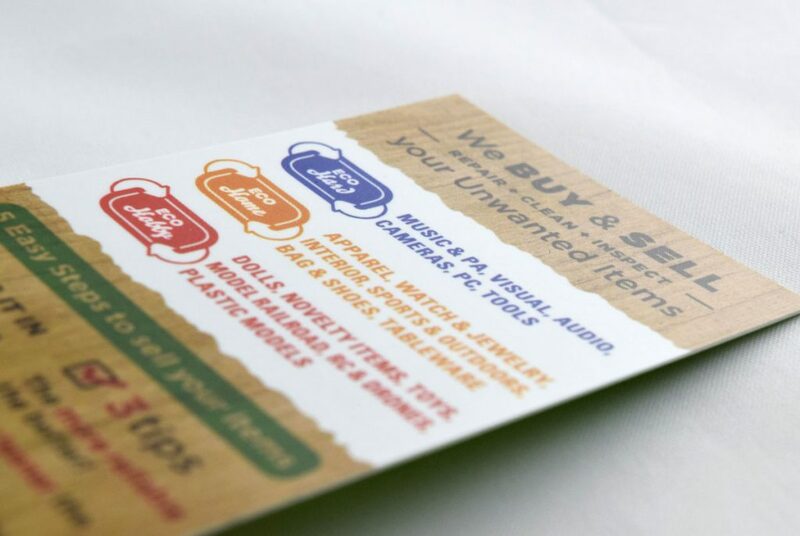 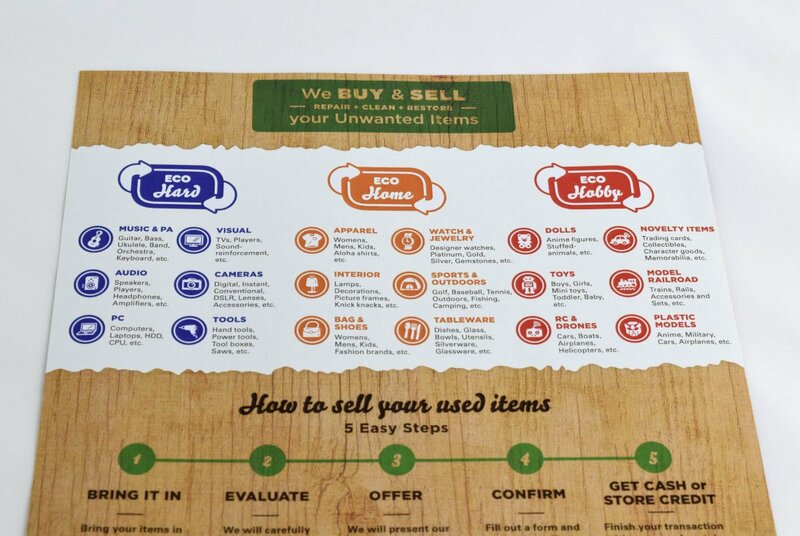 We even developed spatial graphics, signage, and print materials such as store cards and price tags. 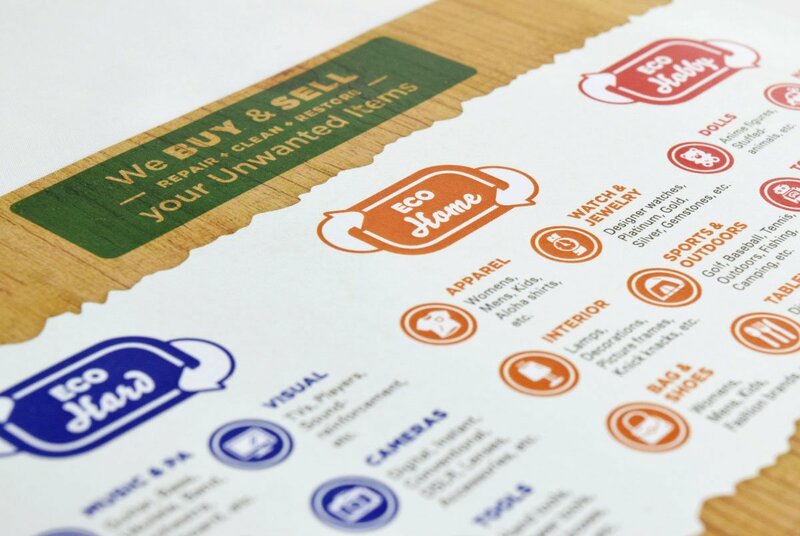 We created a brand style guide that provides regulations for logo usage and summarizes the specifications of production materials for future store development.